The newly reconstituted technical board of the Nigeria Telecommuni-cations Ltd (NITEL) has directed that an audit of the assets of the company be undertaken and a status report submitted to verify allegations of asset stripping levelled against the immediate past owner/management of Transn-ational Corporation of Nigeria (Transcorp) Plc. Also, the board, which has begun the search for a new managing director/chief executive officer of NITEL/MTEL by subjecting its general managers and deputy general managers to a screening exercise for the position, has directed that a business plan be drawn up for ratification at its meeting next Monday. Staff of NITEL had accused the Group Managing Director of Transcorp, Mr. Thomas Iseghohi, of asset stripping. Asset stripping involves selling the assets of a business individually at a profit. The Economic and Financial Crimes Commission (EFCC) last month arrested Iseghohi, the company's Deputy Group Managing Director, Mr. Mike Okoli, and its Secretary, Malam Mohammed Buba, for alleged financial misappropriation. Their offences according to EFCC's spokesman Mr. Femi Babafemi bordered on abuse of office through the indiscriminate award of contracts to their friends and family members. THISDAY, however, gathered last night that it was based on suspicion of asset stripping that the technical board of NITEL yesterday at the end of its meeting in Abuja directed that an audit of the company be carried out and a report submitted. A report to this effect, according to sources, is also expected to be presented to the NITEL board next Monday, which would be attended by the chairman of the National Council on Privatisation (NCP), Vice-President Good-luck Jonathan, who is currently out of the country. “Currently, we don't know what exactly has been sold – whether it is NITEL's non-core assets or core assets,” the source added. “But we intend to find out and take a decision on the information made available from the reports,” said a member of the technical board. In a related development, following the decision by the federal government to reverse the sale of NITEL to Transcorp, the Bureau of Public Enterprise (BPE) might be compelled to restart the process of the firm's privatisation from scratch. Sources confirmed that the status of NITEL today is different from what it was a month ago due to the change in the ownership structure. When contacted, a source close to the BPE on the NITEL transaction confirmed that the bureau would have to exercise that option as it had been advised by the transaction advisors to advertise for new EOIs. He said the BPE had also been asked to return the six EOIs harvested by the privatisation agency three weeks ago and invite investors to reapply on the basis of the current reality. Until a month ago when the federal government revoked the sale of NITEL to Transcorp, the former had a 49 per cent stake while the latter held 51 per cent. 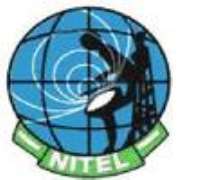 Meanwhile, NITEL's board yesterday began its search for a new MD/CEO of NITEL/ MTEL by screening the company's general managers and deputy general managers for the position. The recently sacked MD/CEO of NITEL/MTEL was Mr. Kevin Caruso, who was brought in by Transcorp. A source told THISDAY that at the meeting of the technical board, it directed each of the most senior officials of the telecoms company - that is, those in the cadres of GMs and DGMs, to submit proposals in the form of technical plans on how each of them intends to run the troubled telecoms operator. “The GMs and DGMs have been directed to submit the technical plans on how they would manage NITEL/MTEL, if they are given the opportunity to do so. “The board is actually spreading its net, that is why the DGMs were included,” the source revealed.